Great Escape Classic Car Hire is celebrating its most successful Goodwood Revival ever. The company hired over 20 cars to customers visiting the popular Goodwood Revival – and could have hired several cars many times over. They met in high school. Bev was a cheerleader, Joe played sports. The pair got married, and the first car they shared, driving off into their mutual futures together on their wedding day, was a 1948 Plymouth convertible. As is often the case with first cars – and especially cars as classically stylish and memorable as the Plymouth – they were left with nothing but fond memories after being forced to sell the car after Joe was drafted into the military. Fast forward 60 years and their son has pulled off a brilliant surprise. The result of which is summed up rather nicely by Bev herself: “Uh oh. Grandpa’s got tears.” And you may, too. Scroll down below to see the video, produced and shared by Hagerty, for yourself. Happy Father’s Day from the crew here at Autoblog. 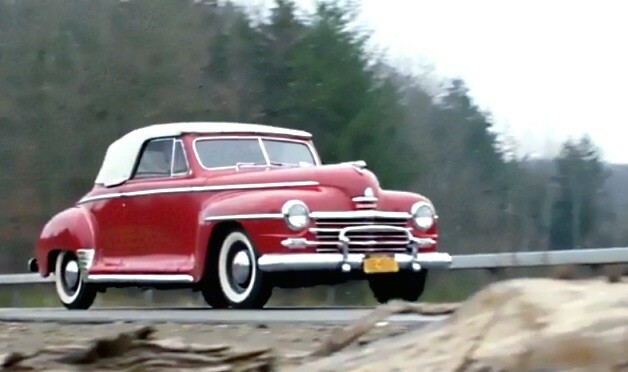 Watch this story of a father, a son and a classic Plymouth on Father’s Day originally appeared on Autoblog on Sun, 16 Jun 2013 19:00:00 EST. Please see our terms for use of feeds. Great Escape Classic Car Hire is absorbing the VAT increase and holdings its 2010 prices until February 2011. That means even better value on its all-inclusive classic car hire packages. Order right up to 12pm 23rd December and we guarantee delivery in time for Christmas. Plus 10% off every order….